Experimenting is a great part of the design process. Building your own marble run forces you to experiment with the construction in order to get the ball running to where it is supposed to and with the speed you want it to have. Observing your own marble run in action just gives you a wonderful feeling of having build a real machine that actually works. This is why All About A today introduced children and their families to marble run construction at KU.BE. 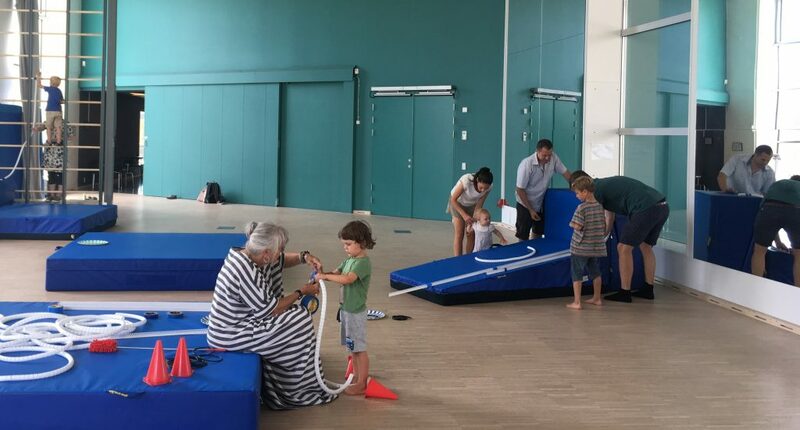 Thank you to all the families and children who despite the very warm weather could not stop experimenting with their marble run design this week.